Mahmoud is a one of the Eldib Partners and is the Head of the Commercial and Corporate Department. He has been practicing as a lawyer since 1988 dealing with civil disputes with a focus on employment and commercial law. 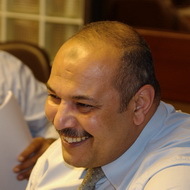 Belal joined Eldib Advocates in 1988. He has gained a broad range of experience in corporate, civil, and commercial law. His clients are principally multinational companies, travel, petroleum and shipping companies. Belal has experience in national and international litigation and arbitration, adjudication and other Alternative Dispute Resolution (ADR) procedures. He has in depth experience of the employment, commercial, financial, and tax disputes. Belal is an expert in the formalities of setting up all forms of companies, and handles both ordinary and extraordinary meetings, companies’ resolutions, and board of directory’s meetings. He holds excellent relation with the different departments and the general authority for investment and free zones (GAFI) and his team has wide expertise in obtaining the licenses and permissions from the competent authorities on behalf of the clients. His extensive experience covers advising clients on the legal due diligence, stock market aspects and corporate transactions, including mergers and acquisitions, joint ventures, public company takeovers, shareholders agreements, and shares purchase. Belal provides advice on all aspects of employment law, including recruitment, termination, terms and conditions of employment (benefits, bonuses, and remuneration). He is well known legal interrogator with the employees. Aside from Corporate and Employment law, Belal specializes in commercial real estate transactions; including acquisitions, hire purchase, and commercial and estate mortgage.